The Abdominal Posture Reflex is a postural response. 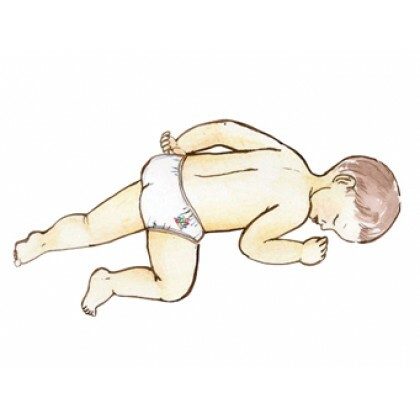 This reflex pattern is used to unconsciously find the best posture to prepare to fell asleep. It serves the brain-body system to calm and slow down its activity switching on the slow brain waves typical to the state of sleep.